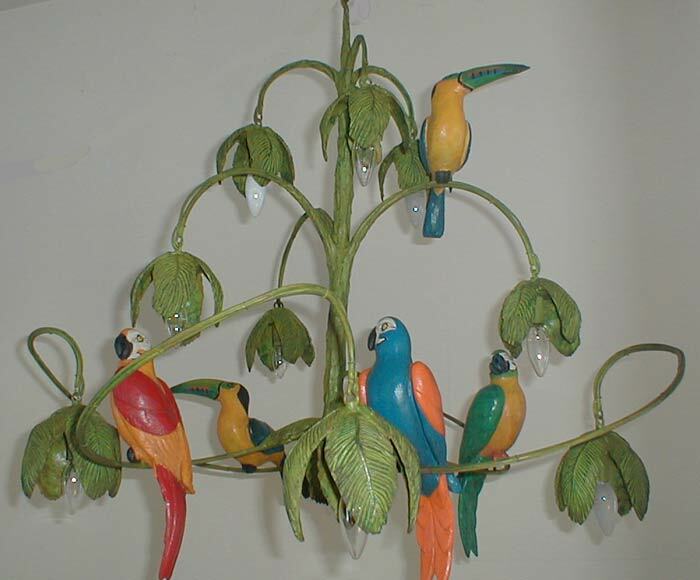 Description: 10 lights and 5 parrot make up this Caribbean style parrot chandelier. You can select which birds. Also with toucan or "branch" monkey. Light fixtures are incorporated in green leaf shades. There are larger sizes & matching sconces. Resin & metal.